Heal my soul? Do I have a soul? My soul is perfect, does it nead healing? 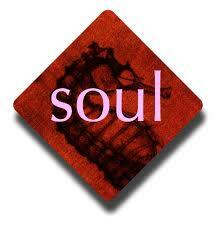 Discussions about the soul have the potential to become a highly debatable area. The understanding, management and administration of the soul has been the traditional ground of members of the religious community, especially in the Christian faith. 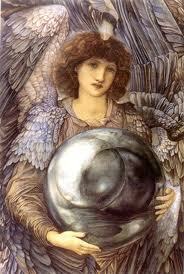 They have been a power force in their role as the protectors of the human soul. However, if we were to explore the root of the word Psyche – translated from the Greek it means: soul, mind, breathe, life. So it could legitimately be said that a Psychologist, rather than a member of the clergy, would be the person who may play some role in helping someone with “soul problems”, since they have adopted and incorporated into their professional the root word “Soul”. But we all know that isn’t the case: psychologists deal pretty much exclusively with the human mind as it acts out in human behaviour and human emotions via a range of therapy modes: cognitive behavioural therapy (CBT), Solution Focussed Brief Therapy (SFBT), Behavioural therapy (BT), Gestault Therapy or even Person Centered Therapy (PCT). Medicinenet.com defines psychology as: The study of the mind and mental processes, especially in relation to behavior. There are a number of fields of psychology. Clinical Psychology is concerned with diagnosing and treating disorders of the brain, emotional disturbances, and behavior problems. Child Psychology is the study of the mental and emotional development of children and is part of developmental psychology, the study of changes in behavior that occur through the life span. Cognitive Psychology deals with how the human mind receives and interprets impressions and ideas. Social Psychology looks at how the actions of others influence the behavior of an individual. So if you feel you need some direction, and your soul needs some assistance, who are you going to consult ….. perhaps it’s best to consult a metaphysician, a spiritual based hypnotherapist who can help you to access soul memories… Certainly at least someone who is trained in the techniques necessary to induce a relaxed and hypnotic state and who has an appreciation and understanding of what is on the other side, within our immortal soul wisdom.